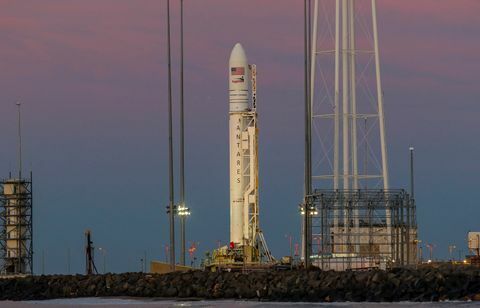 Dulles, Va. – Nov. 17, 2018 – Northrop Grumman Corporation (NYSE: NOC) announced it successfully launched its AntaresTM rocket carrying the “S.S. John Young” CygnusTM spacecraft today at 4:01 a.m. EST from the Mid-Atlantic Regional Spaceport Pad 0A on Wallops Island, Virginia, at NASA’s Wallops Flight Facility. The launch marks Northrop Grumman’s 10th cargo mission carrying vital supplies to the astronauts aboard the International Space Station for NASA. 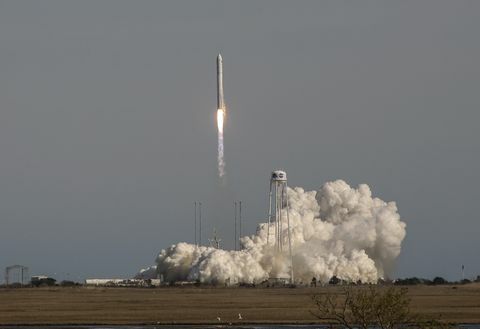 Northrop Grumman’s Antares rocket launched the company’s Cygnus spacecraft carrying about 7,400 pounds of cargo for the International Space Station on Nov. 17, 2018. 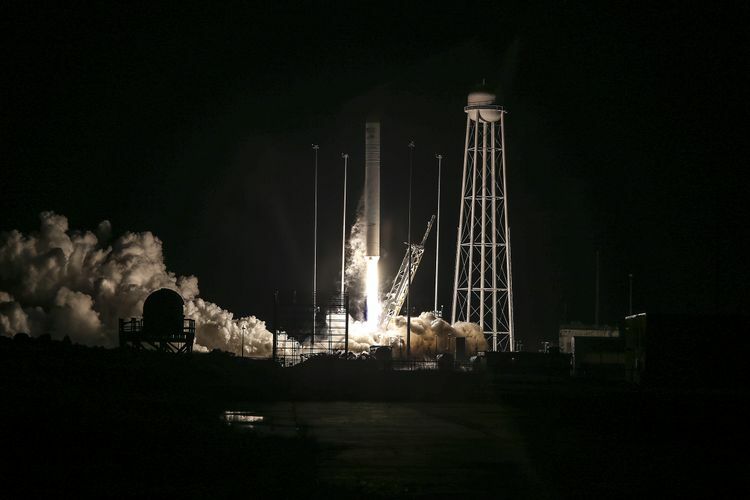 The Antares medium-class rocket carried approximately 7,400 pounds (3,350 kilograms) of vital supplies and scientific equipment aboard Cygnus. Following an approximate nine-minute ascent, the Cygnus spacecraft was successfully deployed into orbit. Northrop Grumman engineering teams confirmed reliable communications have been established and the vehicle’s solar arrays are fully deployed, providing the necessary electrical power to operate the spacecraft. On this mission, the name of the spacecraft honors NASA astronaut John Young. Young was NASA's longest-serving astronaut and a pioneer in the field of human spaceflight who positioned future astronauts to live and work at the International Space Station. His bravery and record-setting accomplishments pushed the boundaries of human space exploration, making him an ideal honoree for the NG-10 mission. Cygnus will be grappled at approximately 5:20 a.m. EST on Nov. 19. The spacecraft will remain attached to the space station for approximately two months before departing with up to 7,400 pounds (approximately 3,350 kilograms) of disposal cargo. 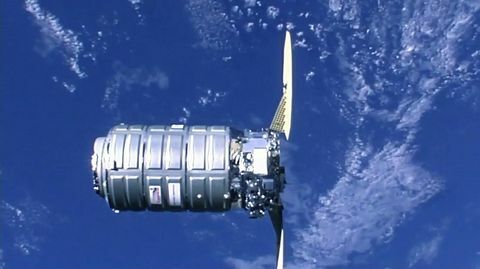 Cygnus’ large pressurized volume allows for large amounts of cargo to be efficiently carried to the space station and also provides significant cargo disposal capability, which is a critical service for NASA and unique among America’s commercial cargo providers. Upon departure from the space station, Cygnus will deploy three CubeSats via the NanoRacks External Cygnus CubeSat Deployment program, from both above and below the orbiting laboratory for the first time. One of the CubeSats, known as MYSat-1, is the first satellite developed by Khalifa University in Abu Dhabi, United Arab Emirates. MYSat-1 was developed as part of Khalifa’s Space Systems and Technology Concentration, a joint program established in 2015 in collaboration with UAE-based satellite operator Al Yah Satellite Communications Company (Yahsat) and Northrop Grumman. Engineers from both companies helped develop the initial curriculum for the concentration, and provided guidance and mentorship during the design phase of the MYSat-1 satellite. As another example of Cygnus’ expanded capabilities, the spacecraft is prepared to support the Slingshot CubeSat Deployer System, a flexible platform that can fly hosted payloads and CubeSats. The mission is the first flight for the Slingshot system, which is scheduled to be installed onto the Cygnus spacecraft by NASA astronauts before the spacecraft departs the orbiting laboratory. Upon completion of its secondary missions, Cygnus will perform a safe, destructive reentry into Earth’s atmosphere over the Pacific Ocean. Details about the NG-10 mission can be viewed here. Under the Commercial Resupply Services (CRS)-1 contract with NASA, Northrop Grumman will deliver approximately 66,000 pounds (30,000 kilograms) of cargo to the International Space Station. Beginning in 2019, Northrop Grumman will carry out a minimum of six initial cargo missions under NASA’s CRS-2 contract. The commercial resupply partnership with NASA is enhancing a robust American commercial space industry, freeing NASA to focus on developing the next-generation rocket and spacecraft that will enable humans to conduct deep space exploration missions.